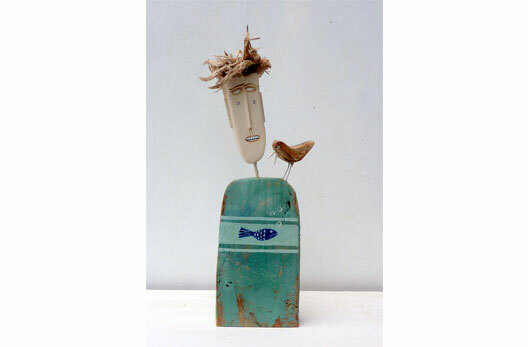 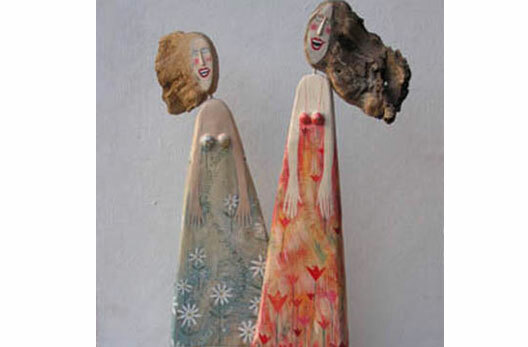 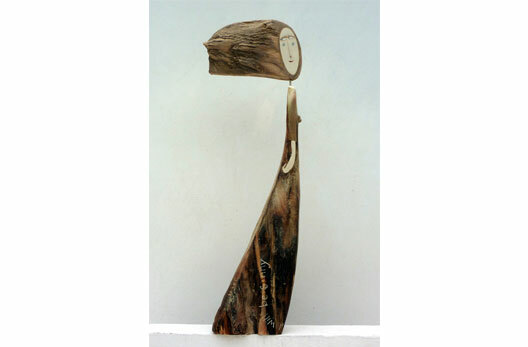 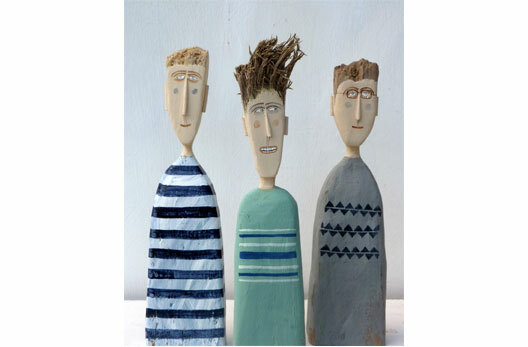 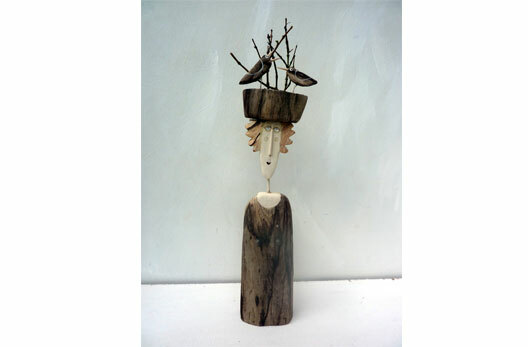 Lynn Muir works in re-cycled wood, mainly driftwood collected from her local beach in North Cornwall.She makes free-standing painted figures, boxes, and wall pieces which incorporate the figures. 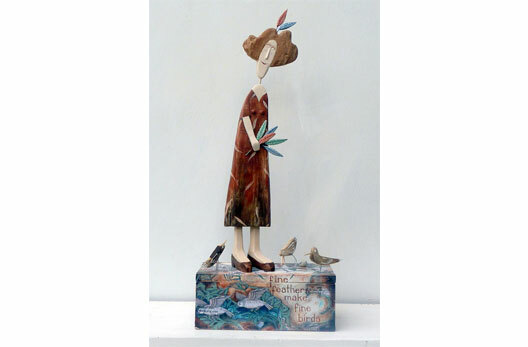 The work is difficult to categorise but she thinks of it as illustrating in the three-dimensional, each individual piece often suggesting a story to the viewer. 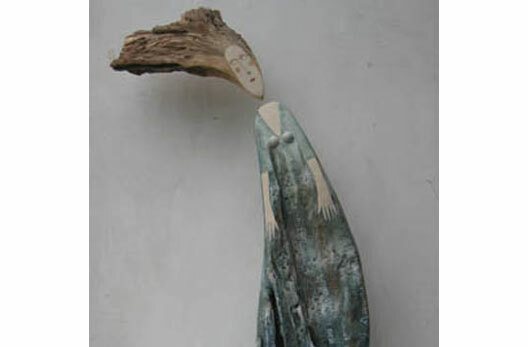 The subject matter is not usually associated with driftwood. 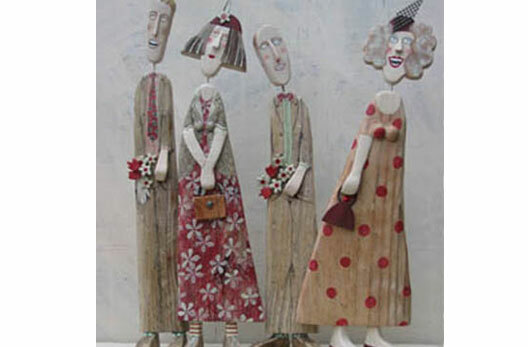 Lynn’s original art school training was in illustration. 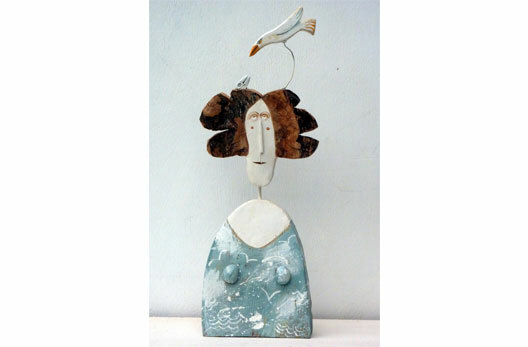 She established her workshop from her home in a village in Cornwall in 1986. 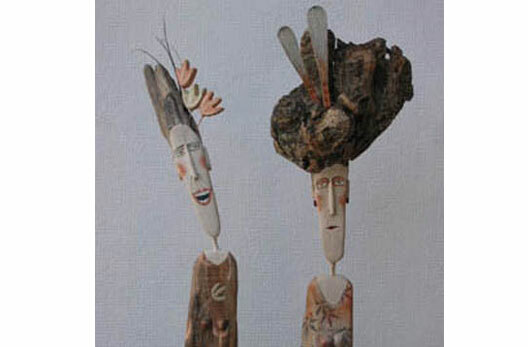 Her work has been exhibited in many places around the world, particularly in the united States.